Monitored professional security systems usually cost around $60 per month with a 3 year contract, adding up to thousands over time. How can you protect your home and family without paying a massive monthly bill? 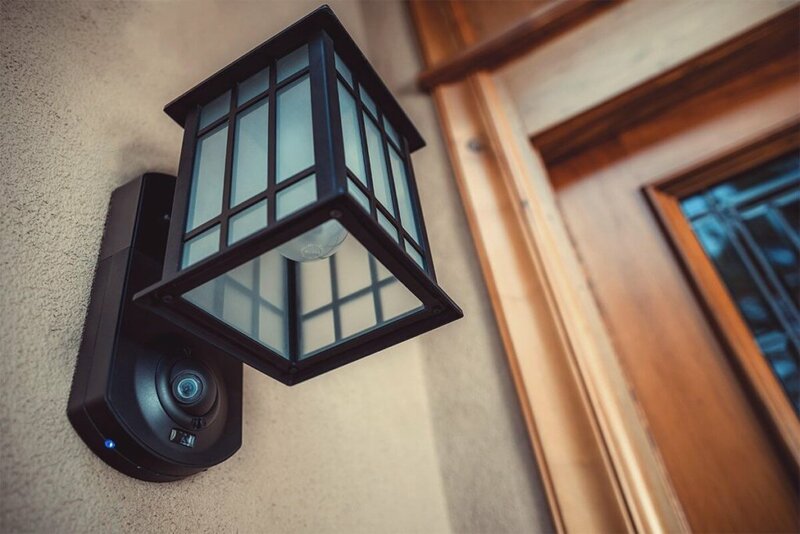 It’s simple: DIY smart home security. 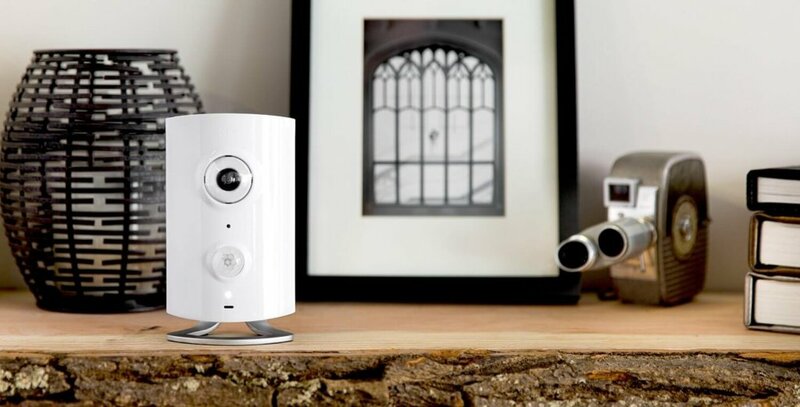 New technology lets you easily protect your home and loved ones without paying expensive monthly fees. These products work via wireless Internet, sparing you the expensive installation with complicated wires. First, you need to decide if you want a full security kit, or individual products. Kits usually run in the $200 range, but they include everything you need to get started. 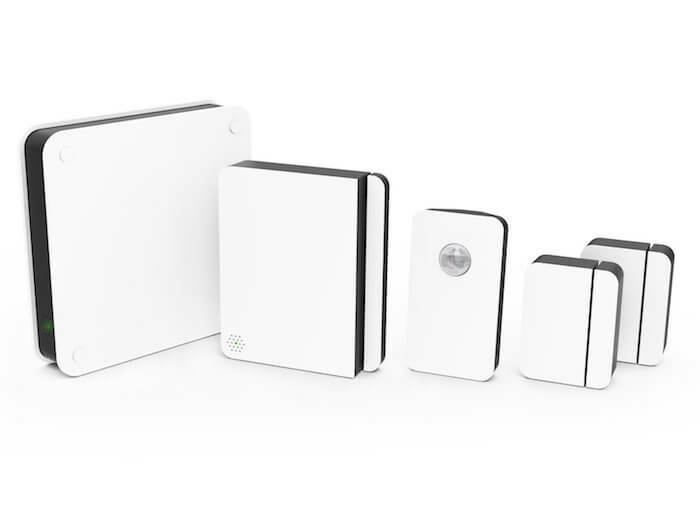 They will help you monitor your windows, doors, outlets, and monitor for motion detection, all within one app. Unfortunately, the price tag may be high if you’re just starting out and wanting to try DIY smart home security. 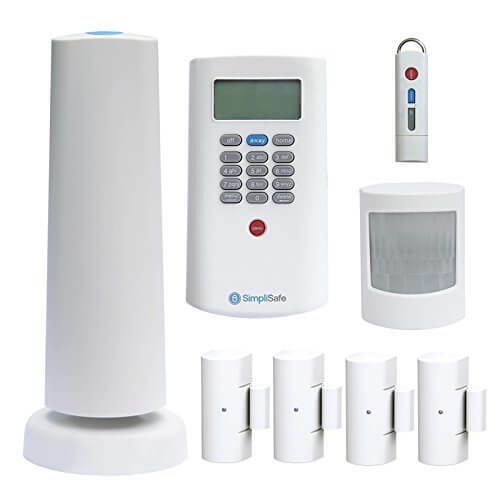 Explore a few of your best DIY smart home security options for full kits or individual security products below to find what may work best for your home. Works with many smart home devices, including LIFX and Hue lights, Ecobee3 thermostat, Schlage smart door lock, Z-Wave devices, and many others. 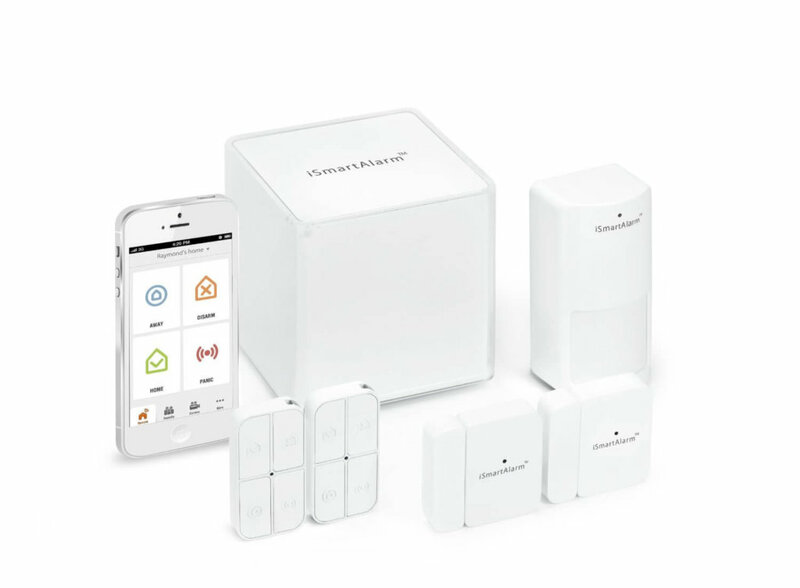 Very expansive and great for building a true smart home. 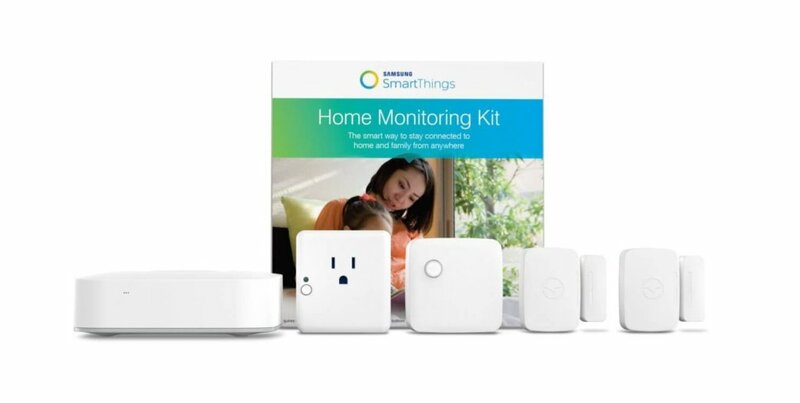 Read our full review of getting started with Samsung SmartThings. Product doesn’t work outside of the U.S.
Only 2 hours of free look back (which isn’t ideal for overnight security). Monthly fees start at $5/month for 7 days of footage. Read our full Kuna porch light security camera review for more details. Receive notifications anytime your garage door opens or closes. Tracks how long the garage door is open and sends alerts if you leave without closing it. 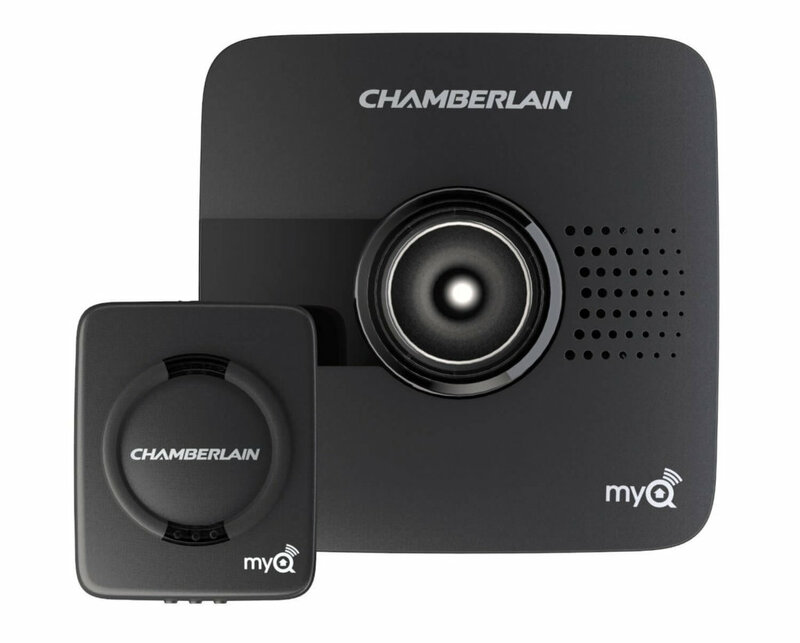 Works with Nest, allowing you to control your Nest thermostat or cameras within the same MyQ app. Doesn’t tell you when it’s disconnected from the internet, just maintains last status of garage door. So if your garage door is shut, your internet goes down, and your child comes home and opens the garage door, it will still show your garage door as shut within the app. 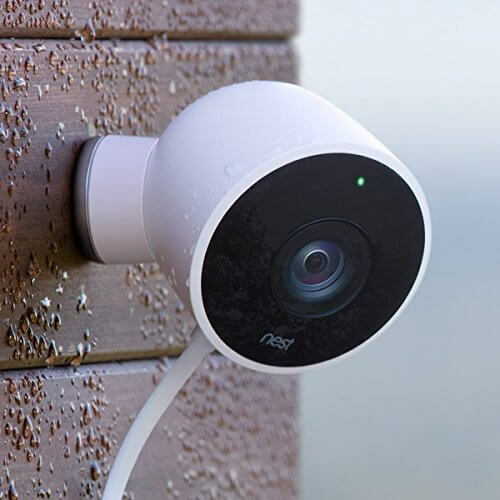 Read our full review of the recently announced Nest Cam outdoor for more details. For more information about Piper’s free security and other features, read our Piper security review. Great smart home integration with the Works with Nest system. 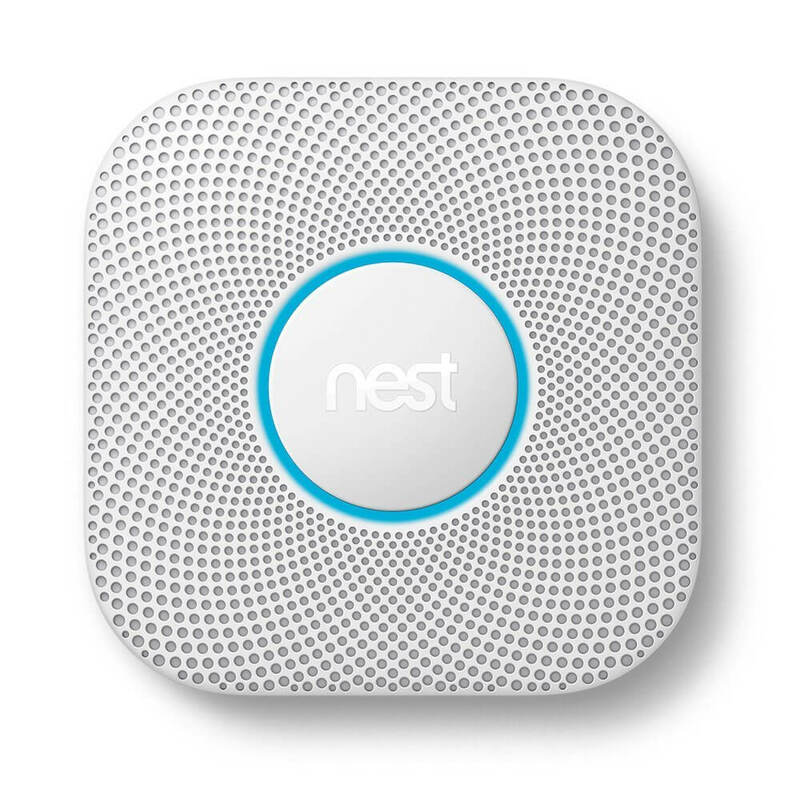 For example, if your Nest Protect detects excessive smoke, you can program your Rachio sprinkler controller to douse your lawn, preventing any fires from spreading. Great hardware! Blends in beautifully, and the colored light shining under Canary helps you know if it’s armed or disarmed. Our full Canary security review analyzes all of Canary’s features and compares with a traditional security system. 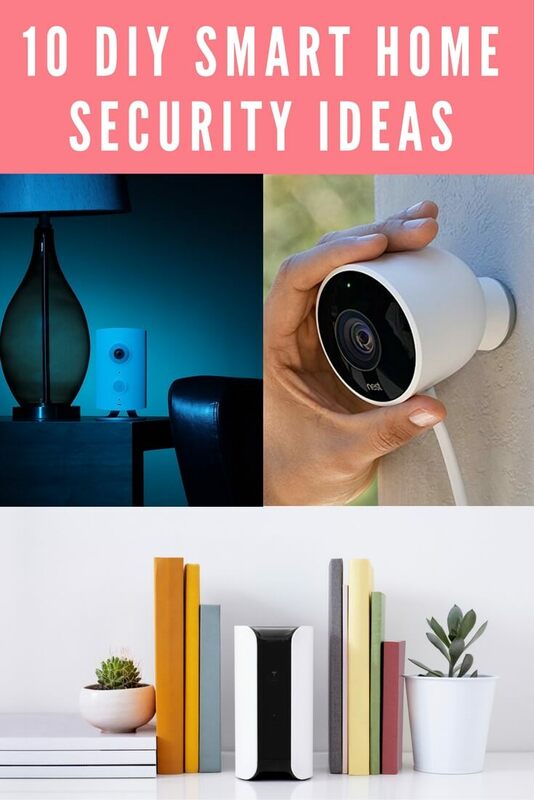 What are some of your favorite DIY smart home security ideas and systems? Let me know in the comments!